Rake: Is Kinnear’s charm enough to keep you watching? 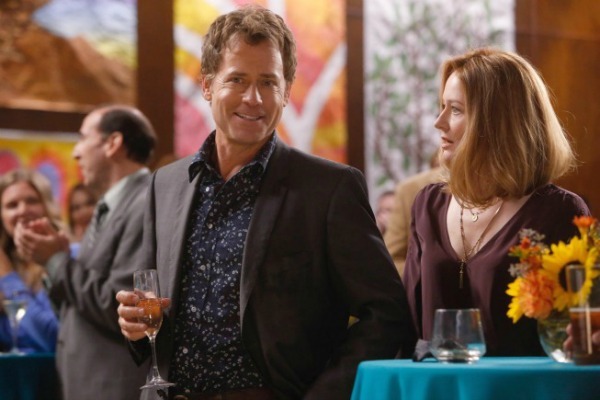 Greg Kinnear stars in Rake as a charming guy with major problems. Will viewers be able to see past the main character’s issues? We take a look at the new series. Fox premieres its new series Rake on Wednesday, Jan. 23. The show stars Greg Kinnear as a lawyer who has screwed up pretty much every aspect of his life. The series is banking on Kinnear’s charm to make main character Keegan Joye appealing, despite his many failings. But will it work? Judging from the previews of the series, that describes Keegan Joye perfectly. Even Kinnear admitted that the series won’t be about Keegan going on any sort of journey of self-discovery, at least not in the beginning. “He wasn’t built like the typical TV protagonist and that’s what appealed to me,” Kinnear said. In addition to Keegan’s less-than-stellar morality, there are also the cases he’ll be dealing with on the show. With all of his issues, Keegan understandably doesn’t get the high-end cases and seems to defend people who are suffering from morality issues similar to his own. For example, in a preview for the show, Keegan is seen defending a man who is a self-proclaimed cannibal. When asked about how many depraved stories they could come up with, Duncan said they weren’t worried about it. “There’s enough depravity in the world,” he said, adding that though they didn’t anticipate having trouble coming up with more “depraved cases,” the show was really about the characters. “It’s the relationship of the characters that is the glue,” he said. A guy who screws up a lot and deals in depraved cases. It doesn’t sound like your typical formula for a TV show, but one thing Rake has going for it is definitely Kinnear. The guy can charm the skin off a snake and even with all of Keegan’s flaws, it might be hard to dislike him since he’s being portrayed by Kinnear. We really can’t put it any better than that. Our recommendation? If you like Kinnear, you might want to give the show a shot. Are you planning to check out Rake when it premieres?